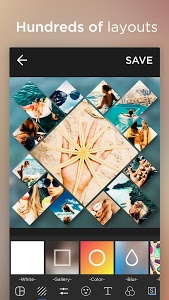 Collage Maker is the best photo collage layout tool, it can add text on photo and cool filter effects for pictures for making perfect images. 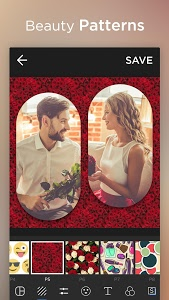 Collage Maker help you create perfect picture collages and Insta Collages.You can pick layout you like best, edit collage with filter, sticker, text and much more. Free Pic Collage and Photo Editor with Emojis, Backgrounds, Stickers, Text. 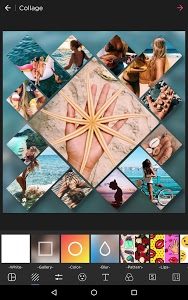 ★ Create photo collage with hundreds of layouts in seconds. 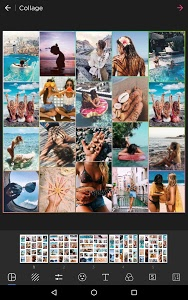 ★ Custom photo grid size, border and background, you can design layout on your own! So easy to make a beautiful photo collage. ★ Multiple backgrounds for your photo such as, black, white, gradation, blur, etc. If you like this version, please consider leave a comment on Google Play, It's very important to us. 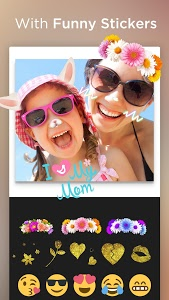 Similar to "Collage Maker Pro - Pic Editor & Photo Collage"